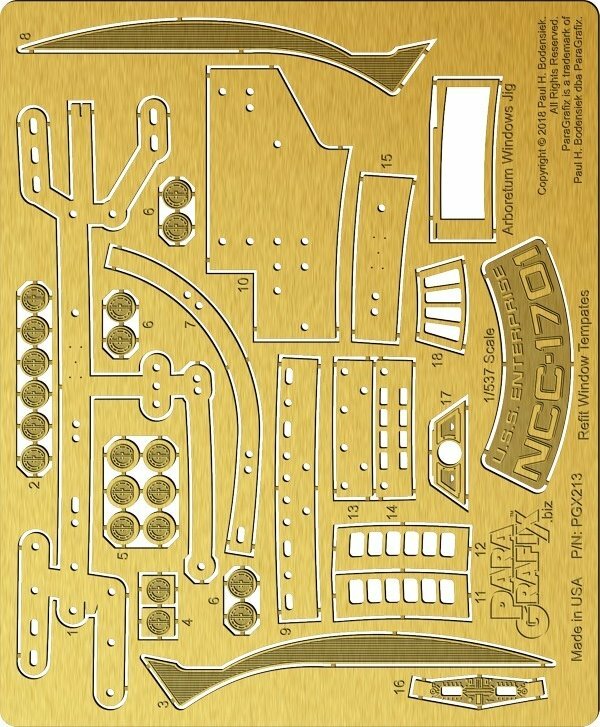 Window placement templates for drilling out the windows on the 1:537 refit starship kit from AMT. Also includes window frames for the arboretum and officers lounge. Other details featured are torpedo launcher details, the rear bridge, dorsal vent details, and docking ports.